Home›eCommerce›Are You Listening to the Signals from Your Customers To Improve Their Buying Experience? Seventy-two percent of companies say improving customer experience is a top priority, yet less than two-thirds are implementing tools to reach these goals, according to Forrester. Retailers should consider how they can leverage technology to gain insight and better meet their customers’ needs through in-store data collection; starting with shopper signals. Just as websites track behavior like bounce rates, click-throughs and conversions, a variety of sources can collect in-store signals about shopper behavior. Mapping: Maps provide a foundation, a frame of reference for organizing data. But because, retail stores are in a constant state of flux, the maps must be easily maintained to keep in sync with the daily changes. Stores optimize assortments, see inventory consumed and prep for fluctuating merchandising strategies. To keep up with the rate of in-store change, retail mapping solutions need to operate at scale. Product Location: Retailers use a variety of methods to aggregate products and locations that serve legacy business needs, but these methods leave gaps in the shopper experience and ultimately impede accurate analytics and insights. To avoid falling short, retailers need solutions that accurately represent the 100% of the products within physical store. Retail Enterprise Data: With the foundation of mapping and accurate product location, additional enterprise data can be collected and correlated to the map unlocking additional previously unattainable insights. By feeding POS logs into maps and a routing service, retailers are able to make associations not just to with items on the transaction log but to items throughout the store, providing insight beyond what was purchased to what was not purchased. Indoor Positioning Solutions: Indoor positioning solutions such as beacons, lights and other sensors - provide retailers data about the location of their customers. The value in these tools lies in the retailer’s ability to follow along with a shopper’s journey. Signals capture a shopper’s behavior, such as navigating through aisles or picking up items from a grocery list. This allows for a better understanding of what a shopper is looking for, his or her shopping pattern, as well as how often he or she buys specific products. Chatbots are another solution retailers can leverage to gain insight into shopper behavior, as they can capture purchase intents. Someone who searches for a product digitally is likely to come into the store to execute that purchase within 24 hours. Additionally, chatbots empower shoppers and give retailers a unique opportunity to address each shopper as an individual. SessionM found that 90 percent of shoppers use their smartphones in store. Knowing this, a retailer can look at ways to collect signals through a mobile app, both in and out of the store. When a consumer uses tools provided by a retailer such as product searches, deal searches and items added to a list, the app gives customers the ability to use the same tools they would as if they were shopping online with the benefits of an in-store experience. Once consumers use these tools both at home and in-store to browse, clip coupons, make a list or to engage with a chatbot, a retailer will have a front row seat to the unique knowledge that shopper-specific data provides. By using the signals a customer creates, retailers have insight into specific shopping and purchasing habits. The benefits of these shopper signals are multifaceted, as signals captured in-store can be used to enhance the digital shopping experience, while digital signals can also enhance the in-store experience. Using signals, retailers can be better equipped to meet the needs of the customer with the brands they love. The data provided along a customer’s journey creates timely and relevant information on shoppers - versus the retailer buying generic customer profiles en-masse. With this knowledge, retailers are better equipped to offer promotions, bundle products and inform the customer of sales or coupons that are relevant to his or her specific needs. Customer experiences can’t be one-size-fits-all, and a great experience certainly can’t be achieved without actually listening to your customers. Retailers have to see customers as individuals if they want to provide differentiated promotions based upon individual wants to ultimately elevate each customer’s experience and sales. According to McKinsey research, employing personalized tools can deliver five to eight times on marketing ROI and lift sales by 10 percent or more. 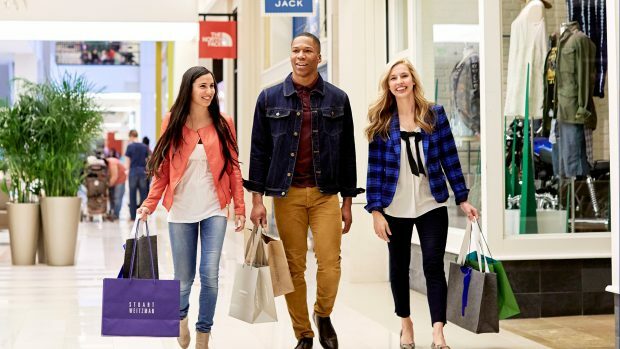 Additionally, by employing tech solutions to capture shopper signals, a retailer can even further their potential to offset advertising costs. By using these in-store and in-app signals, a retailer does not have to buy third party data to power their programmatic advertising efforts. As today’s consumers evolve in their shopping preferences and technology usage, retailers have a chance to respond. If a retailer’s ultimate goal is to surprise and delight customers while delivering excellent customer service, implementing signal-gathering technology is an appropriate first step. Josh Marti, Co-founder & Chief Executive Officer at Point Inside, Inc.